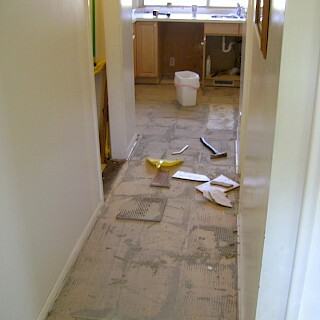 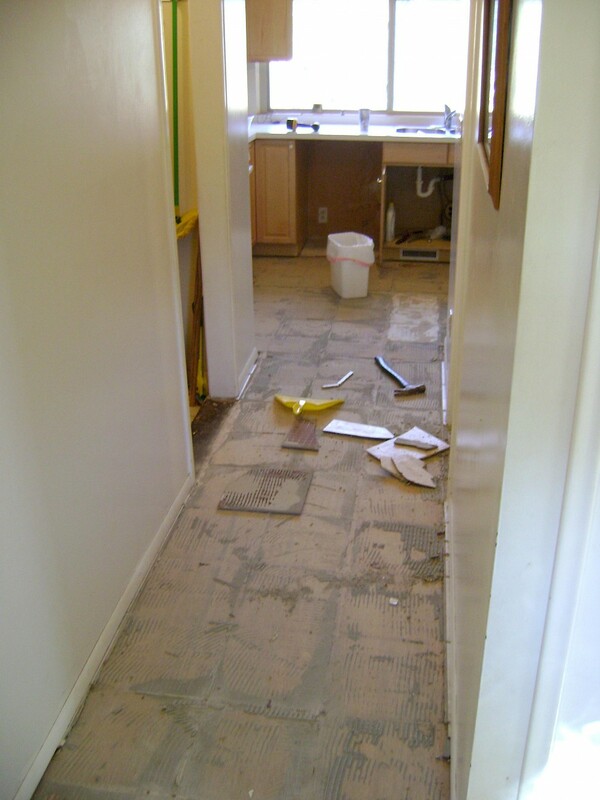 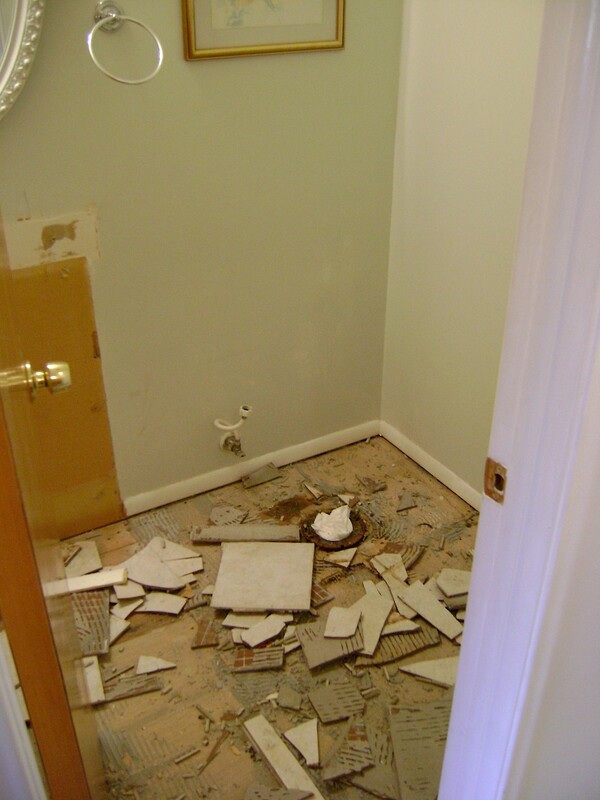 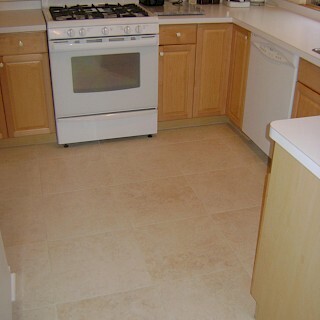 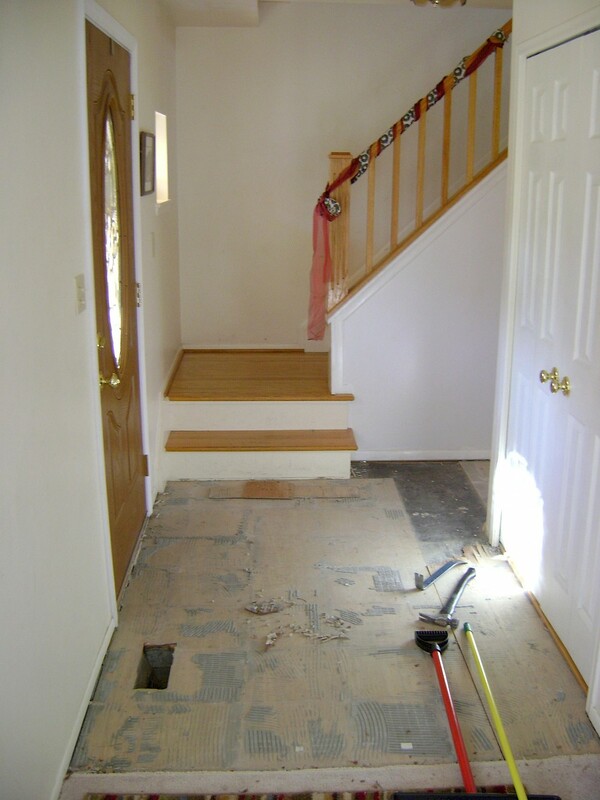 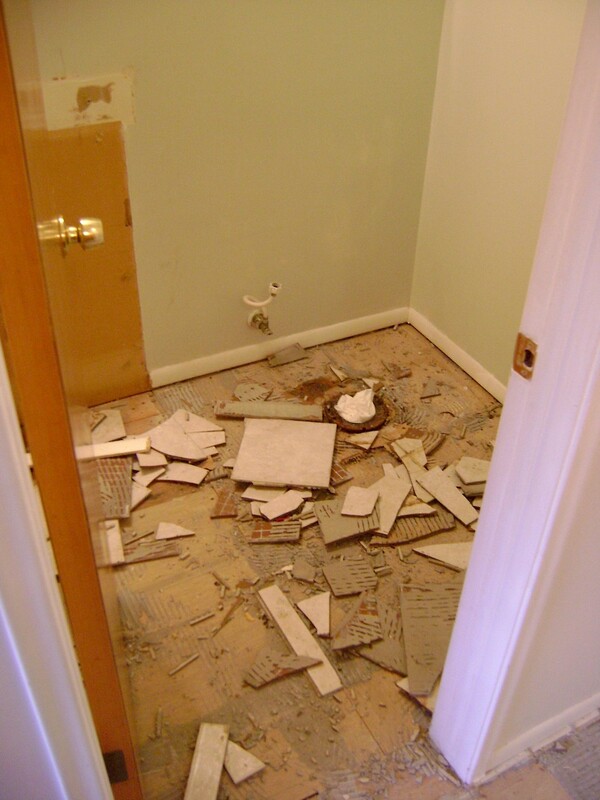 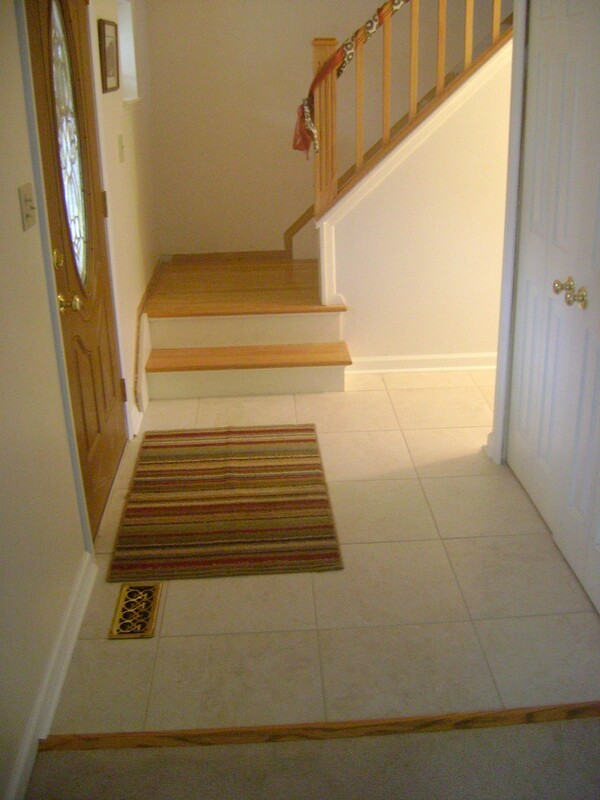 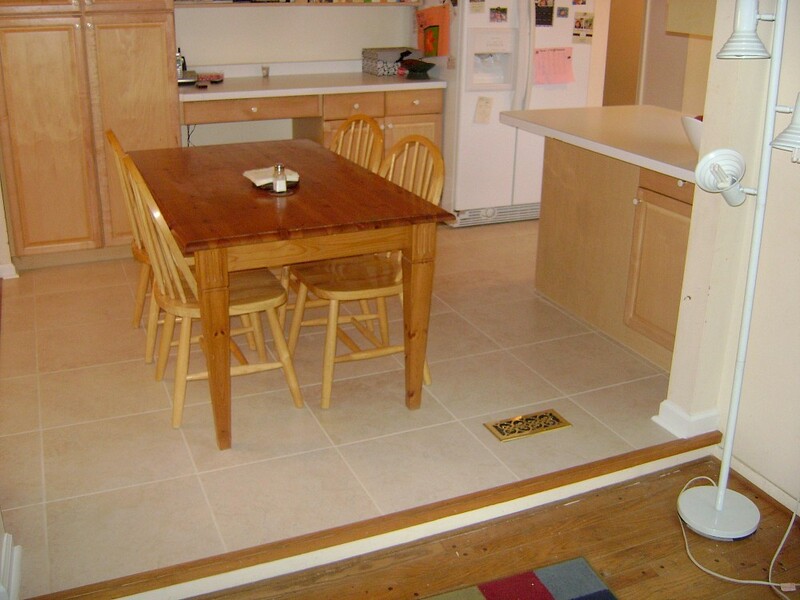 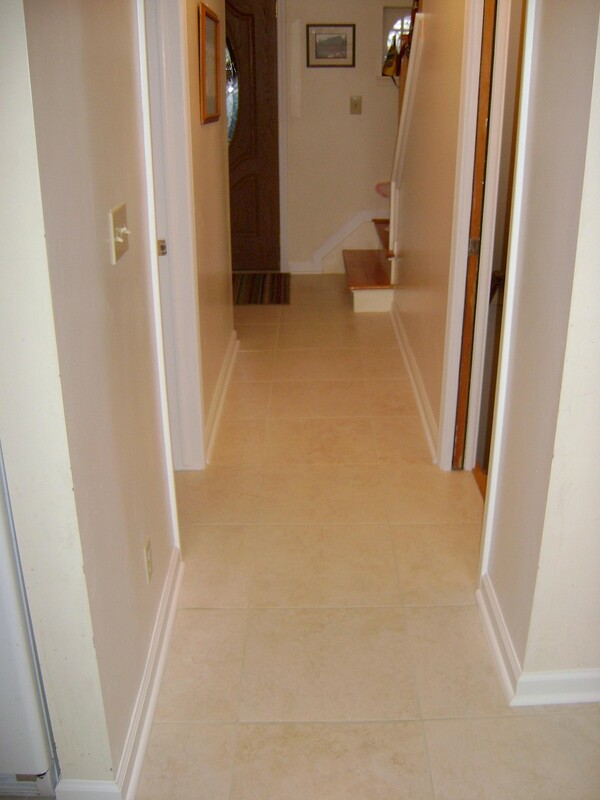 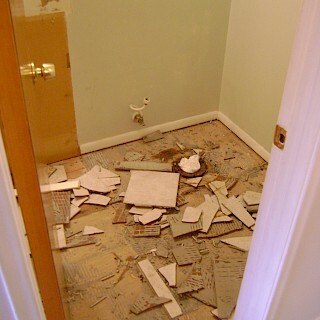 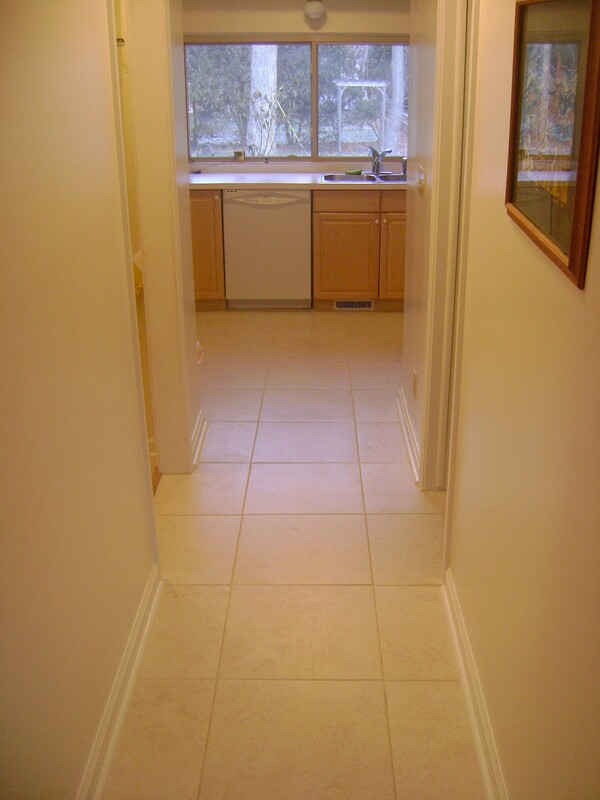 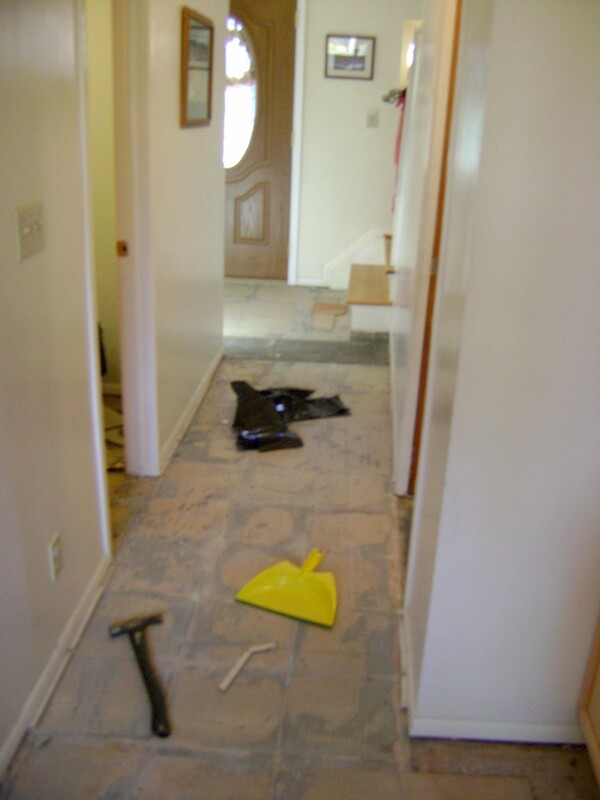 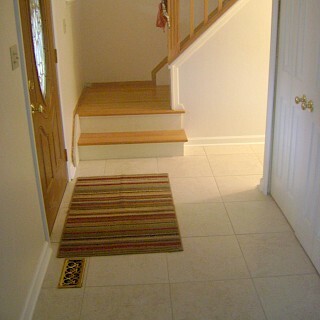 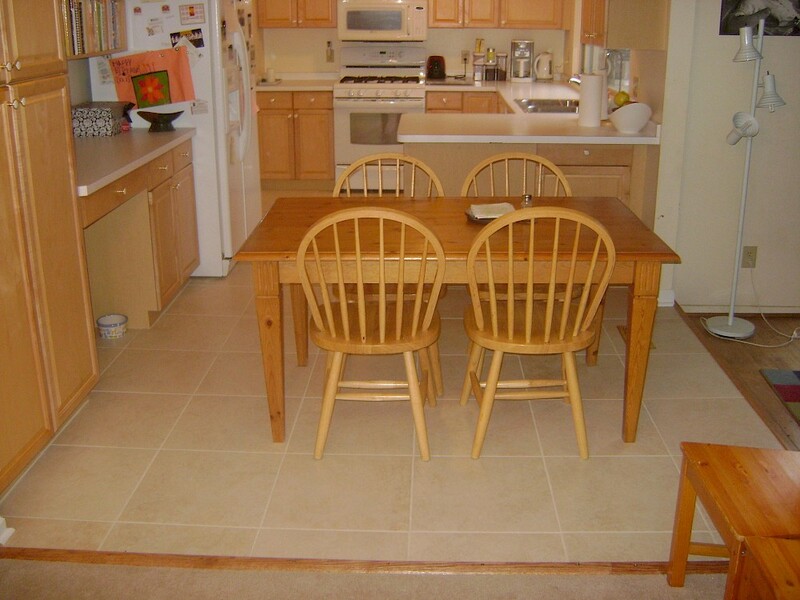 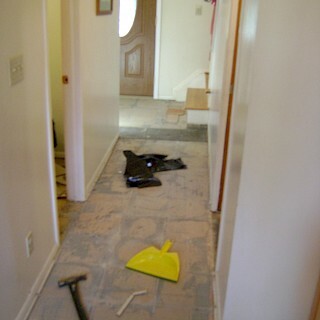 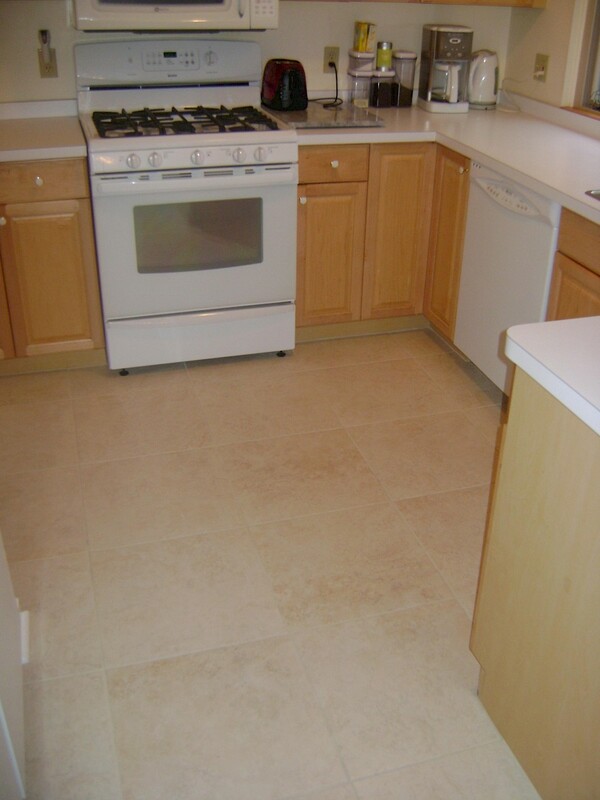 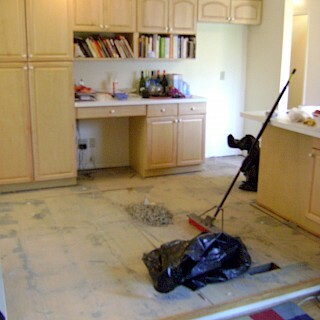 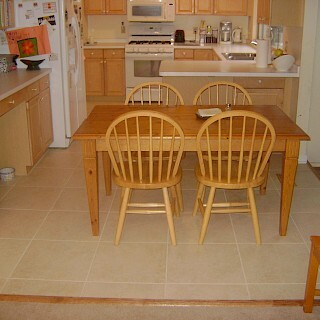 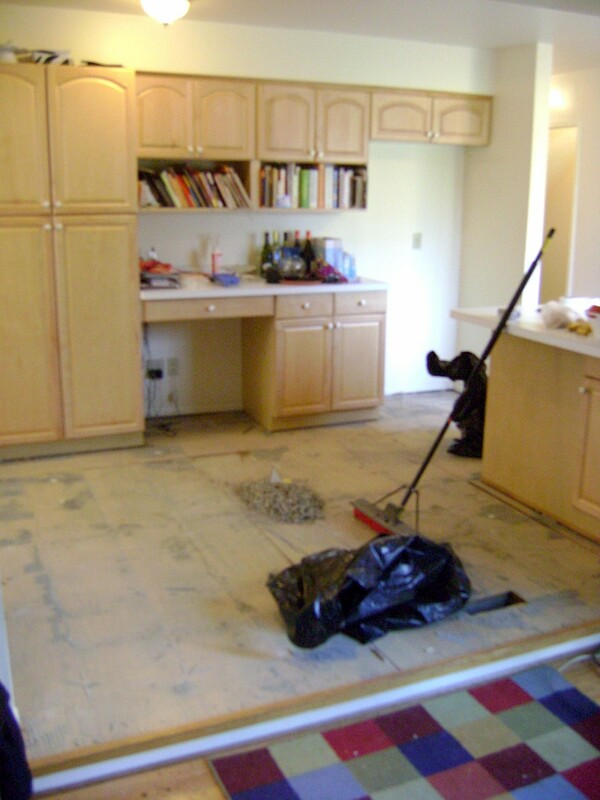 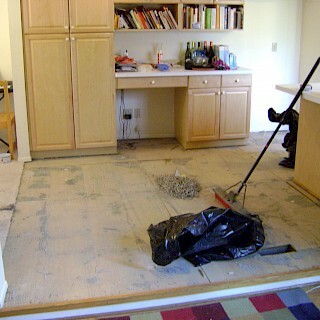 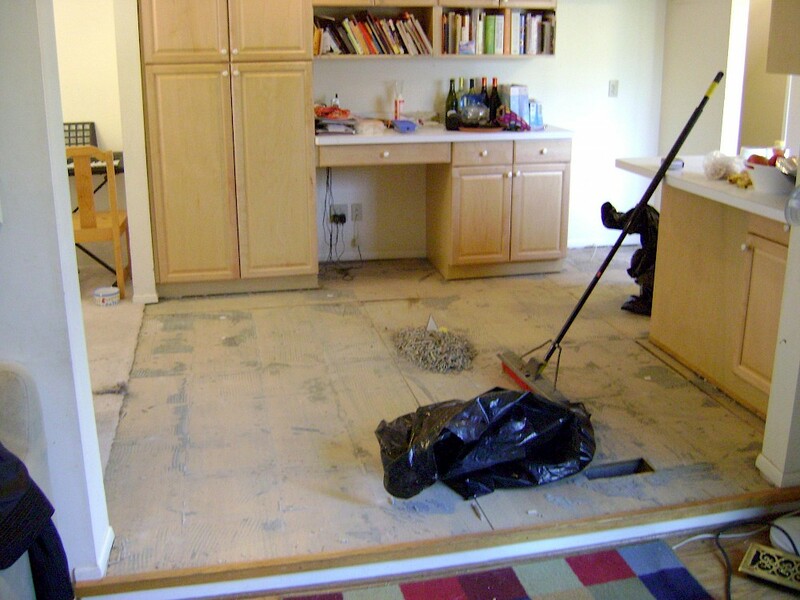 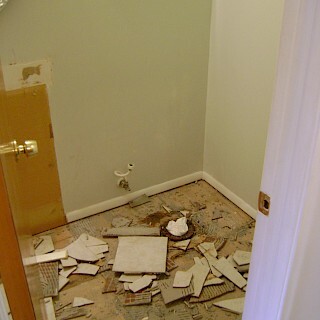 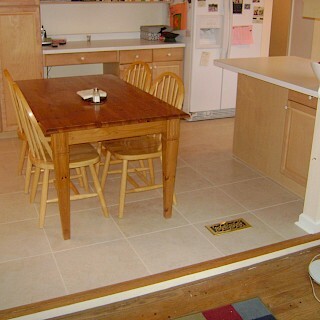 This project in Ann Arbor started with the removal of improperly installed tile flooring. 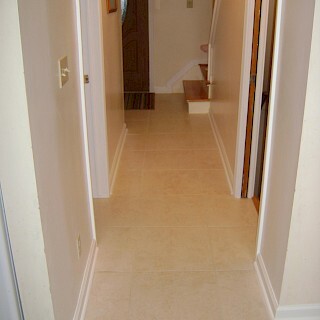 Exemplar Carpentry then installed a Durock concrete backer board and added all new ceramic tile to it. 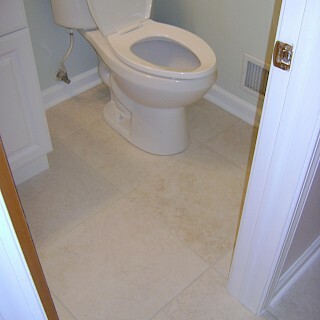 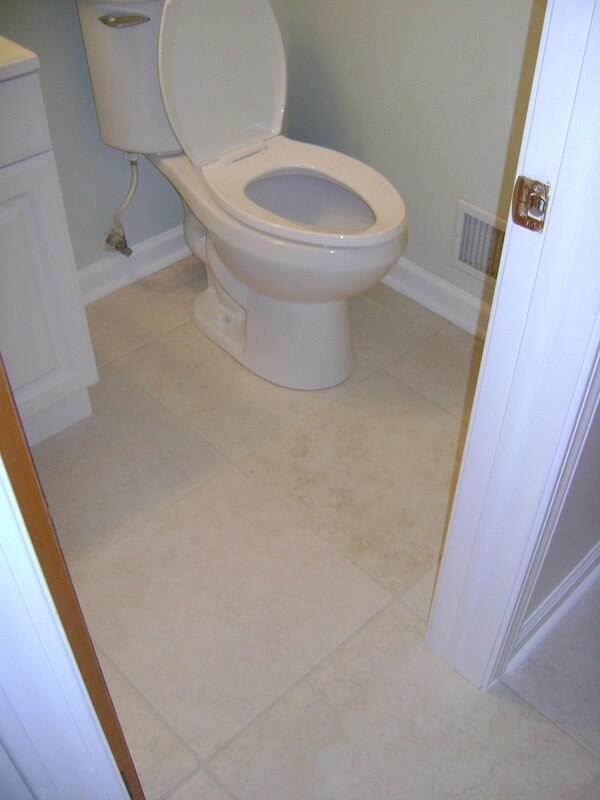 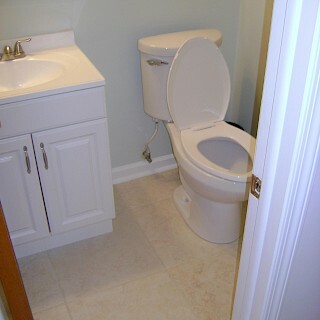 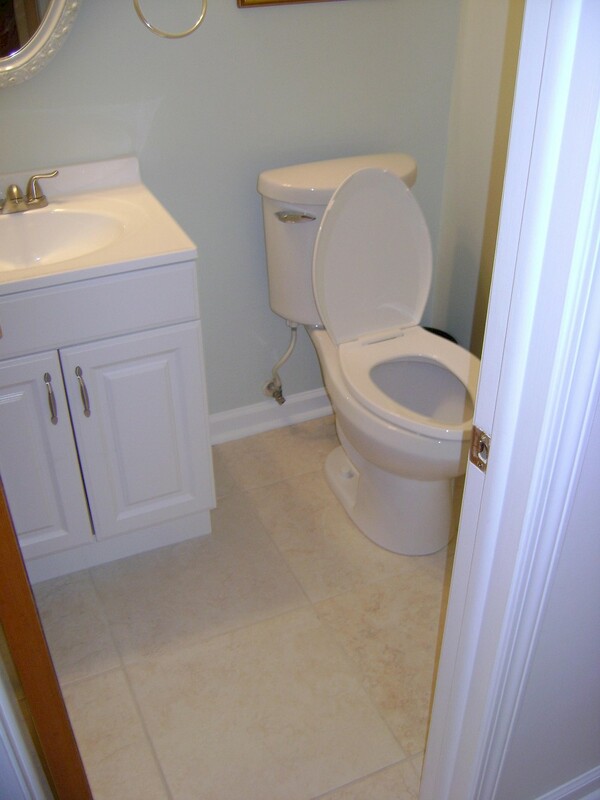 Once the tile was properly replaced we removed the toilet and vanity cabinet and installed new ones. 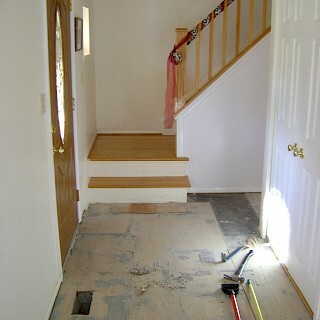 New painted base molding and shoe molding was installed as well. 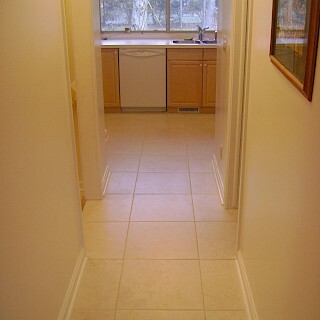 The hallway, kitchen, and bathroom were all painted to finish this project.